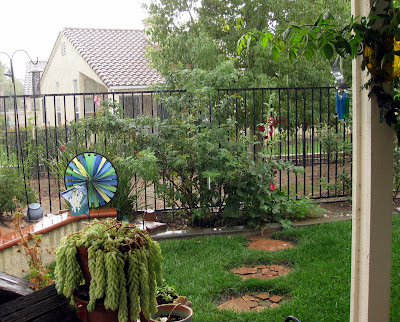 I walked the dogs this morning, between cloud burst. 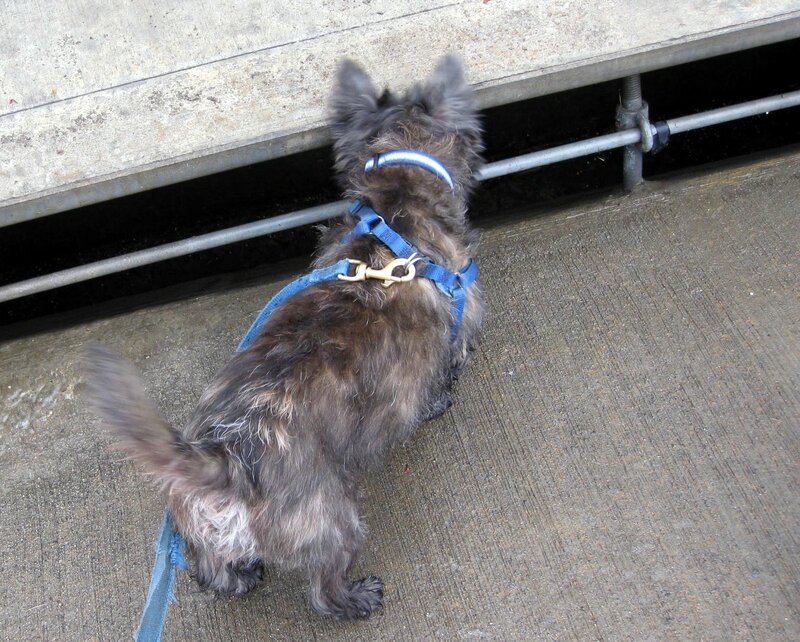 Dudley has always been fascinated with the gutter drains, especially when it rains. This morning, he dashed to the drains and paced back and forth. growling. My guess is he was warning what ever was down there, maybe monsters, not to come up, because Dudley was in charge. Glad to hear your getting some much needed rain. I'm sure the monsters in the storm drain will not bother ferocious Dudley!